This is an archive of questions and answers about Mars. It is divided into Beginner, Intermediate, and Advanced categories and covers such topics as the possibility of life on Mars, Martian atmosphere and geography, and Mars colonization. 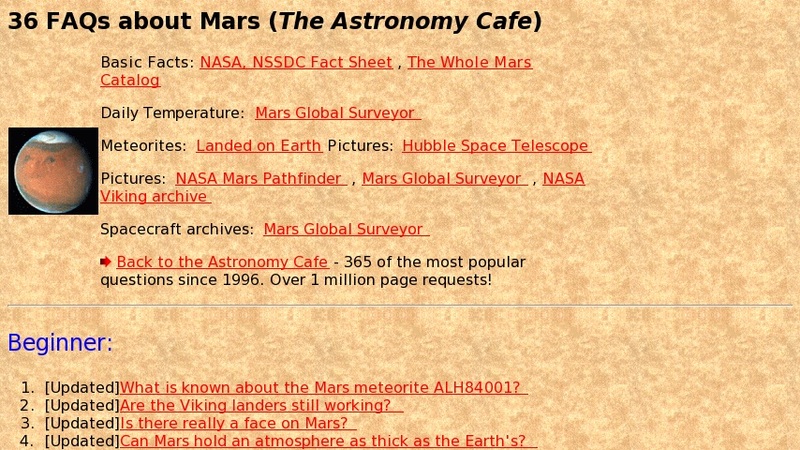 There are also links to other Mars-related sites.